Facebook has made a bold $2bn bet on virtual reality by buying the makers of Oculus Rift, but the company must innovate further to make the device palatable to consumers, writes Aaron Martin, head of strategy at Collective London. There’s no doubt that Facebook’s acquisition of Oculus came out of the blue. No matter how impressive the technology, Oculus doesn’t seem like the most natural fit with a social network. And while Mark Zuckerberg has ambitions to turn Oculus into a wider platform, there are a few hurdles to clear first. Oculus Rift is a pretty niche product. Ask PC gamers about it and most will know what you’re talking about, but ask the man on the street and you’ll meet blank faces. But while money could solve issues around awareness, broadening the Oculus Rift’s appeal might be slightly more difficult. 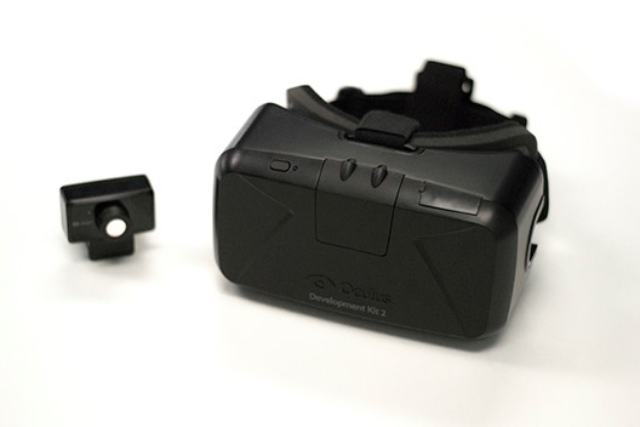 This isn’t a simple device a user can just plug in and fire up – the Oculus Rift requires multiple ports, the right software and the correct configuration. If Facebook is to make Oculus Rift really grow, it needs to make the device appeal to the everyman: and that means making it a lot easier to use. After all, that’s what Sony will be doing with its competitor, Project Morpheus, which will likely fit intuitively into Sony’s gaming ecosystem. It’s all well and good for Zuckerberg to talk in grand terms about all the experiences that might be possible, but the real challenge will be securing content. With the prospect of Sony’s Project Morpheus on the horizon, there’s a real possibility of a format challenge within the virtual reality space. As we’ve seen through the many format wars over the last few years, the brand with the best content tends to win. Sony will be bringing its huge library of games, videos, movies and the rest of the Sony empire to Project Morpheus - so what will help Oculus Rift stand out in this context? Facebook needs to secure its killer content play to make Oculus Rift the must-have accessory. When Facebook purchased Oculus Rift, Zuckerberg spelt out some future uses for virtual reality. Those included virtual court-side seats at a basketball game, studying in a classroom somewhere else in the world, or meeting a doctor face-to-face. But none of these examples necessarily require an immersive 3D experience. 3D sports haven’t taken off on TVs and TV coverage of sporting events is often better than watching live. Skype can already put you in a lecture theatre or in front of a doctor. What’s more, these are all use cases that have been bouncing around since virtual reality was pioneered 25 years ago. If Facebook really wants to make Oculus Rift a social platform of the future, it must developed an innovative use, a killer application that moves the technology from a niche gaming product to something that my mum will want to use. TV manufacturers have spent thousands trying to convince us that a virtual reality device is the next must-have in our lounges, only to find most of us think the idea of sitting in a pair of dodgy glasses will not a great experience. On top of that, virtual reality is an inherently individual experience, since it involves strapping a large box to your head. As yet, the technology isn’t really there to make any interaction between multiple users realistic. This makes it challenging even for simple uses like 3D teleconferencing. Facebook will need to consider how to bring a social element to the technology of it is to move the Oculus Rift to an experiential platform – and align the company with its existing business. Oculus Rift is taking an inordinate amount of time to get to market. Originally funded on Kickstarter in 2012, its second development kit version is only just being shipped this year, and consumer-ready hardware still is not expected until 2015 at the earliest. Of course, the delay has helped Oculus develop the Rift from minimum viable product to a robust consumer offering. At the same time, it has enabled the company to get developer and software support from day one. But in the fast-moving world of technology, this long gestation period seems remiss. With Sony and other potential competitors now sniffing around this market, time isn’t on Oculus’ side.